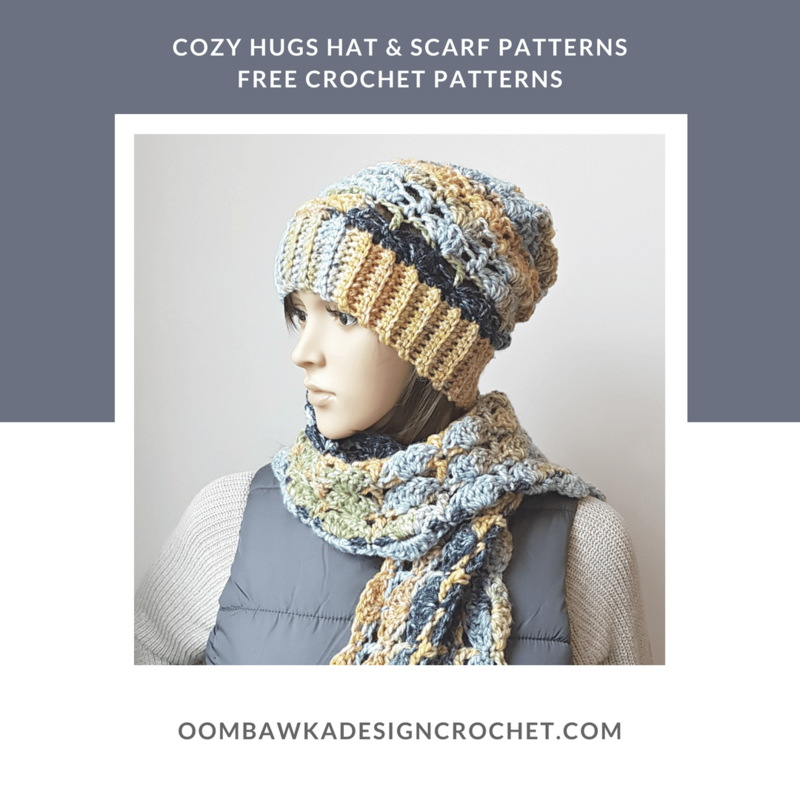 This post includes my Cozy Hugs Hat Pattern. 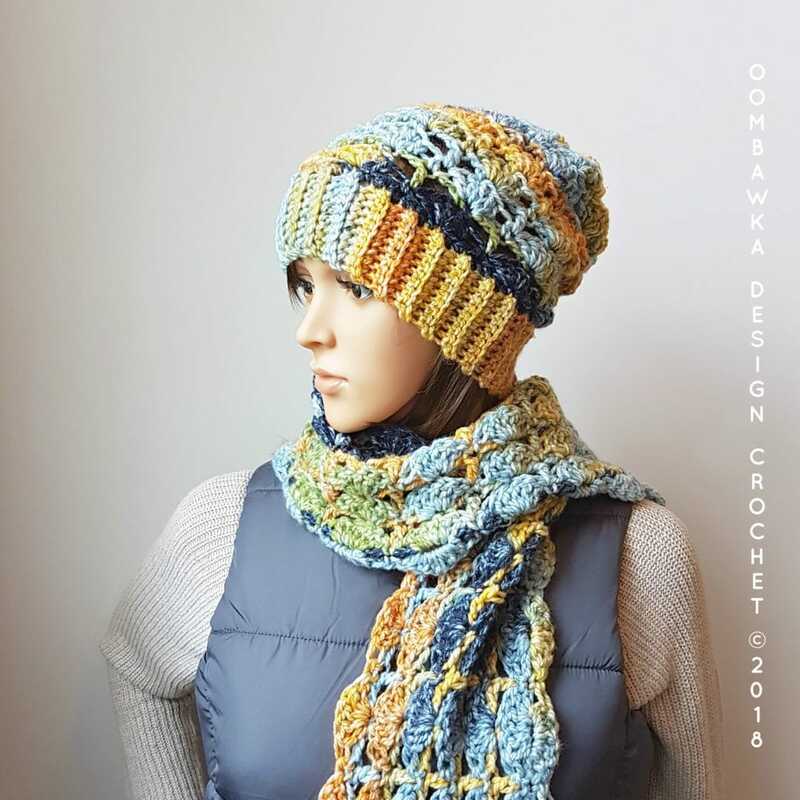 This hat matches the Cozy Hugs Scarf Pattern. and the Cozy Hugs Hat. The hat band is worked in rows. The hat body is worked in continuous rounds. Please use a stitch marker to mark your place. 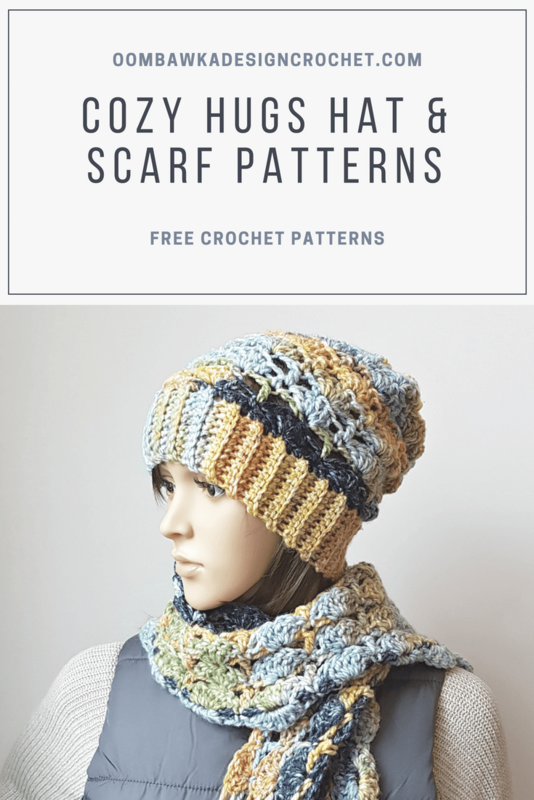 Do not slip stitch to join or chain additional stitches for height. 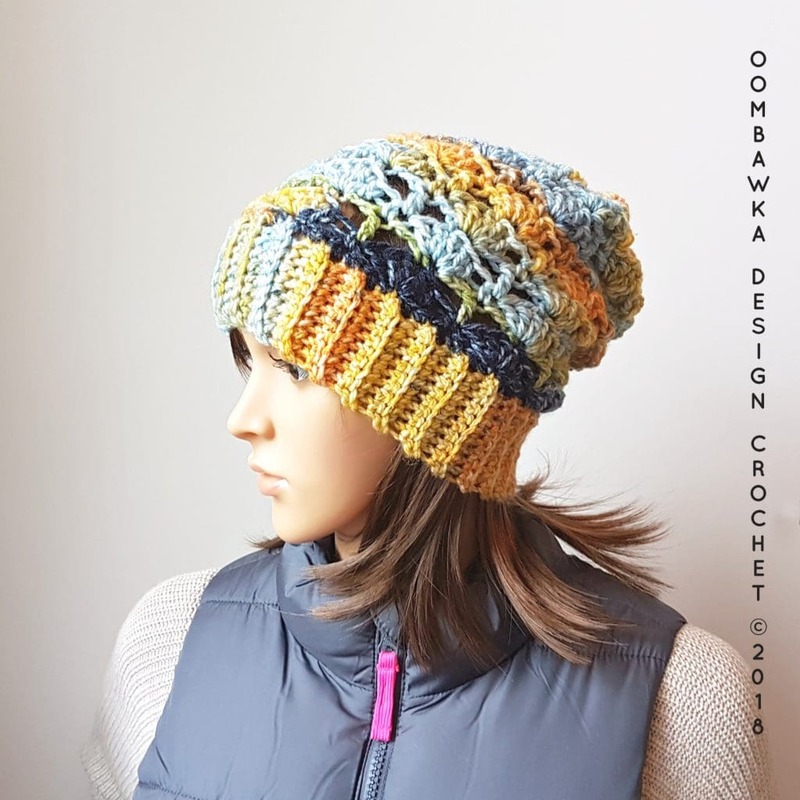 The Cozy Hugs Hat is crocheted from the band to the top of the hat. The band is worked back and forth in rows. The remainder of the hat is worked in rounds. We will use a simple closing method (demonstrated here: Simple Closing Method for Hats) to close the top of the hat neatly. With your 5 mm (H) hook. Do not finish off. Rotate your work to work across the row ends of the band. With your 6 mm (J) hook. Rep R3 and R4: 5 more times. Now we are going to decrease a few stitches to shape the hat at the top. Rnd 17: *Sc2tog**. Rep from * to ** 9 times. 1 sc in the last sc. Finish off leaving a long tail for closing the top of the hat. Using your remaining yarn tail from R1 of the project, whip stitch the hat band closed. Finish off and weave in all remaining yarn ends. Thanks for sharing this nice pattern! I’m from Italy and I understand everything without problems! very easy and quickly hat!!! Thanks awfully for this gorgeous pattern which absolutely flew off my hook. Thank you. Made up so quickly.